Don't you just love it when people get excited about a coming event? The toxic chemical spill that's the key plot point in The Surest Poison takes place behind a small plant just outside Ashland City, the seat of Cheatham County, just to the west of Nashville. I contacted the Cheatham County Library director a few weeks ago and asked if she would be interested in my doing a book signing there. She thought it was a great idea. We set it up for Saturday, September 5. In the book, I had PI Sid Chance and his part-time associate, Jaz LeMieux, visit the newspaper in Ashland City to seek the editor's help. A story he runs in the paper provides one of the key clues to solving a murder. When I spoke to Brooke Mullican, the librarian, I asked if she had any contacts at the newspaper. She said the editor was a friend. I sent her a news story about the signing, mentioning the newspaper's appearance in the book. I received an email today saying she had sent the story to both newspapers. Turns out there's another one in a nearby small town that has a larger county-wide circulation. She's also meeting with the Ashland City editor tomorrow. She asked me to send some bookmarks they can begin handing out to library patrons next week. I don't do much public speaking any longer because of a vocal chord problem, but I enjoy talking with people about my books at signings. I haven't done many pure signings at libraries, but the few I've done have gone well. The Southwest Branch Library at Pensacola, FL is a favorite. I did signings there for each of my books until this year. We curtailed our travel because of the economy and gas prices. I'm looking forward to going there next year, however. The Friends of the Library leaders there are great. One of the fun parts of being an author is visiting locations where they generate a lot of enthusiasm over your appearance. The trip to Ashland City should be a delight. How authors get started in writing is a fascinating subject. I've read countless stories of people who wanted to be an author from the time they learned to hold a pencil. Others knew it would be their fate on reading the Hardy Boys or Nancy Drew as youngsters. I'm not one of them. I've told a bit of the story on the F.A.Q.s page of my website. Although I was a dedicated reader of short stories in The Saturday Evening Post and other weekly magazines as a teen, I never considered writing them myself. My closest connection to the printed page was as co-business manager (make that advertising salesman) for my 1943 high school annual, The Grey Eagle. After graduation, I volunteered for Aviation Cadet training in the Army. My World War II military career did not consist of air raids on Tokyo or Berlin, however. I was shifted about from base to base waiting for openings in the next phase of training. I wound up in the summer of 1945 at Randolph Field in San Antonio, a legendary base with permanent buildings. I was assigned as a clerk in the VOQ, Visiting Officers Quarters, located upstairs above the Officers Mess. I had a partner on the job, another cadet named Wolfson, who had spent a year at Yale before going into the service. While chatting one day, he told me that if he had it to do again, he would study journalism. For some reason, that idea took root in my mind. The more I thought about it, the more intriguing it sounded. We had a typewriter in the VOQ office. I had used it to hunt and peck letters and such. After news of the atomic bomb exploded across the front pages, I sat down at the typewriter and began punching out a story involving a nuclear weapon. I don't think I got too far with it as the war quickly came to an end, and we began to consider what would happen next. A lot of the guys who had volunteered for Cadet training came from families in high places. I heard that some of them had lobbied the War Department (now Defense) to release us, rather than put us in other Army units for postwar occupation assignments. Whatever happened, orders came down in the fall giving us the option of taking a discharge. I was ready to head home and resume my education, so I split. I wanted to study journalism. I learned that the big J schools were upper class programs, meaning I couldn't get in until I was a junior. So I enrolled at the University of Tennessee in January of 1946. I considered transferring to Wisconsin, one of the top-rated J schools, but I learned that UT would have a reporting course in my sophomore year. I signed up for that one and enjoyed it immensely. The following year, a full journalism program was established. I had worked on the student newspaper, the Orange and White, and was tapped to be managing editor of one of the semi-weekly editions. However, my reporting course teacher returned to his post as executive editor of The Knoxville Journal and offered me a job as a reporter. I skipped the student assignment and became a cub reporter at the morning daily. I quickly found my forte was writing feature stories, finding interesting twists to make articles come alive more than with a straight news treatment. After reading two mystery books by Horace McCoy (They Shoot Horses, Don't They? and No Pockets in a Shroud), I decided to write one of my own. Going to school in the day and working nights didn't leave a lot of spare time, but I sat down in my basement room at the fraternity house and banged out a mystery novel on my little Smith-Corona portable. The manuscript was rejected by a publisher, and I was too much a neophyte to know I should try others. I was hooked on mysteries, though, and on writing in general. I've been at it now for more than sixty years. Who knows what I would have done if it hadn't been for Cadet Wolfson? I spent last weekend at Killer Nashville, the mystery conference co-sponsored by chapters of Mystery Writers of America and Sisters in Crime, in cooperation with American Blackguard Film & Television and Clay Stafford, the originator. It was large enough to provide something for everybody, but small enough that most of the participants got to know each other. The plaque displayed here is not the real one. The ballots weren’t counted until five o’clock that afternoon. After receiving the award, I had to give it back so my name could be engraved on it. Photos were made of the event, but I haven’t received one yet. Another award was presented to my good friend and writers group colleague Beth Terrell, who also blogs with me at Murderous Musings. Beth received the Magnolia Award from the Southeast Chapter of Mystery Writers of America. It is presented annually to a member who has demonstrated outstanding dedication and service to the chapter. Beth has gone above and beyond the call of duty to help plan and coordinate programs for Killer Nashville. The program featured a great mix of talks and panels covering four tracks—Writing, Marketing, Fans, and Forensics. Retired detective Lee Lofland gave several presentations on police procedures. Former ATF Agent Sheila Stephens and three Tennessee Bureau of Investigation agents added to the insider information picture. A large array of published authors discussed a variety of writing and promotion topics. Two literary agents and an editor listened to pitches from writers looking for representation. Another great feature was TBI Special Agent Dan Royse's crime scene, featuring a murder in the hotel boiler room. Registrants had the opportunity to visit the scene, check out all the forensic evidence, and complete a report identifying the murderer and how it happened. Lee Lofland said it was the most realistic crime scene he had encountered. Panelists from left to right are Allan Ansorge, Stacy Allen, Jennie Bentley, Chester Campbell. I served as moderator for two panels, one on Creating Depth Through Character Relationships, the other on A Writer’s Guide to Building Buzz. The panels ran nearly an hour and a half, giving plenty of time to cover the subjects. A major feature of the conference was two sessions on Saturday afternoon that involved an interview and a solo presentation by J.A. 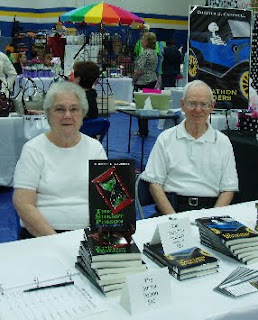 Jance, author of 15 J.P. Beaumont books, 8 Joanna Brady books and 2 standalone thrillers. She did a great job. Then when she was presented her Killer Nashville Guitar as Guest of Honor, she sang a country song she’d written. I highly recommend everyone attend Killer Nashville in 2010. It’s August 20-22 at the Cool Springs Marriott. See you there. I’ve found the answer to how to make big money off your book. When I read about it, I said to myself it’s so simple why didn’t I think of that? The story was in the London Telegraph last week. 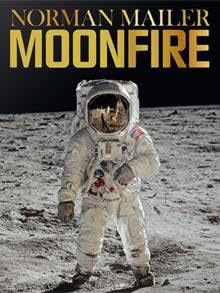 Taschen America, the U.S. affiliate of Taschen GmbH in Germany, has a new book out titled MoonFire, the Epic Journey of Apollo 11 that sells for a mere $1,000 per copy. These will cost an astronomical figure (pun intended) that hasn’t been revealed. According to the Telegraph story, "It will be thousands, hundreds of thousands of dollars," Creed Poulson, the firm's public relations manager, told The Times. The book itself, including the “cheaper” version, includes Norman Mailer’s three-part Life magazine depiction of the Apollo 11 mission, along with numerous photos from Life and NASA. The boxed edition comes with a Plexiglas-framed copy of the cover photo showing Buzz Aldrin walking on the moon. It is signed by the retired astronaut, who recently suggested NASA skip planning another moon trip and head on to Mars. Okay, you ask, how do you relate all this to your own situation? Good question. As those of you familiar with The Surest Poison (April 2009, Night Shadows Press) know, the book involves the toxic effects of an illegal dump of trichloroethylene behind a small plant outside Ashland City, Tennessee. I plan to create a limited commemorative edition that will come with a small vial of the chemical, better known as TCE, which you can place on the bookshelf or pour in your water supply to see what happens. The numbered volume will include retired corporate attorney Ben Small’s exciting description of TCE cases he’s been involved in, and real-life Private Investigator Norma Mott Tillman’s breath-taking story of the actual TCE-dumping case that inspired my book. And I’m not greedy. It’ll sell for a mere $500. I can print 2009 (the year of publication), though, so the total will be a tidy $1,004,500. The printing and boxing cost should run somewhat less than that, so I’ll make out okay. Don’t worry, I’ll give you plenty of advance notice on when to order your copy. Meanwhile, if you haven’t read the original book, that’s your first assignment. Patricia Stoltey wrote a recent blog about the supposed “rule” that says don’t start your novel with the weather. She debunks it by citing openings from such authors as James Lee Burke, Michael Connelly, Robert B. Parker, and Margaret Truman. She also mentions the "rule" about using dreams. I’ve commented previously about my experience with that subject. A professional editor read an early version of Secret of the Scroll and said eliminate the nightmare, it’s passé. Then my editor at the publishing house saw the mention of waking after a dream and said to elaborate on it. As I indicated, my only problem with the weather in the new book is creating the feel of winter during the dog days of summer. Incidentally, the “dog days” was invented by the Greeks and Romans who believed Sirius, the Dog Star, was the cause of all this hot, sultry weather. I’m trying to get my star to rise to the occasion and create some great frozen metaphors and similes. I don't care for frequent "weather reports" in mysteries, but when a storm or a heat wave or some other weather phenomenon affects the outcome of a scene, or helps to set the stage, I say bring 'em on. How about you? Do you duck under an umbrella or throw the book against the wall?